On paper at least, it seems Andy Murray's preparations for Wimbledon have not been ideal. You never want to lose in the first round of Queen's, especially when you are the top seed and defending champion, and he would have liked a few more matches on grass. But I don't think that will have any impact whatsoever on his performance at the All England Club. I've been in both scenarios - reaching the Queen's final and losing in the first round - and neither had a bearing on how well I did at SW19. Wimbledon is such a unique event. It's his home Grand Slam and the biggest and best tournament in the world, and even if Murray hadn't played for a month, I still think he'd do very well there. Far more important is making sure he's 100% fit and healthy and completely clear of his back issues. When you appreciate he'll probably need to beat two out of Novak Djokovic, Rafael Nadal and Roger Federer to win the title, that's incredibly difficult at the best of times. So if he's not 100% healthy, it's virtually impossible. As long as he's fit and healthy come Monday, though, I'd be excited about his chances. Nadal and Djokovic are the favourites, with Federer a very close third and Murray a little bit behind. 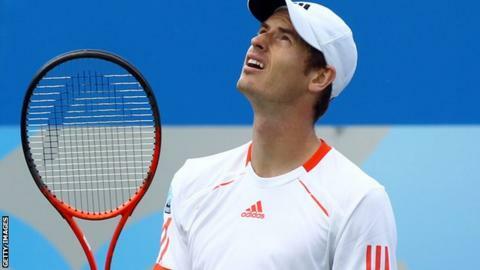 Murray has separated himself from the chasing pack by at least reaching the semi-finals at five of the last six majors. He's also won Masters 1000 events but even so, I wouldn't put him in the same group as the top three. Equally, I wouldn't make any judgements on his clay-court season because he wasn't 100% healthy and, don't forget, at the Australian Open he was as close to the top three as he's ever been. If we're having this conversation after the US Open and he's had some poor results, then I would say perhaps the gap to the top three has grown. But from now on - with Wimbledon and the Olympics followed by the US Open - he'll be knocking on the door again. On the court, I want to see Murray finding the right balance between being proactive and reactive. It's vital he dictates with his first serve, keeps that percentage high, plays aggressively and attacks second serves - particularly as I think he's the best returner in tennis. His biggest challenge is dealing with adversity. When he's playing well, he can beat anyone. But when he isn't, can he really knuckle down, hold his temperament together and avoid the dialogue with his team? He did that fantastically well in Australia. He's been working with Ivan Lendl for a good period of time now and hopefully we'll see the rewards of that at Wimbledon. It's a fortnight I enjoyed more with each passing year. When you're in the middle of that goldfish bowl you tend to pay less and less attention to what everyone else thinks because you just want to do a good job controlling the things you can control. Right now, that's his pre-tournament preparation and, moving forward, it's his performance. If you do that, you'll find everything else takes care of itself. It's so good to be playing at the All England Club, sleeping in your own bed with such familiar surroundings. This is Murray's seventh Wimbledon and he'll be fine. For very different reasons, it's also a good opportunity for the other British players who, given their rankings, are expected to lose every match. Aside from Murray, Anne Keothavong and Elena Baltacha are the only players in the main draw by right. The others have got to really grasp the opportunity and play with freedom. They've got nothing to lose. It's a huge event and if they can win a couple of matches, the impact it can have on their careers is just enormous. They should be really excited about their chances - as should Andy Murray. Tim Henman was talking to BBC Sport's David Ornstein.